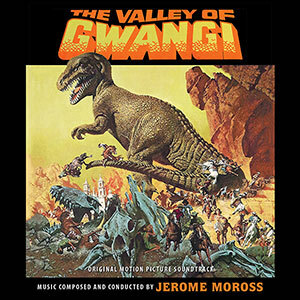 At long last, Intrada presents Jerome Moross' original soundtrack to the Ray Harryhausen fantasy The Valley of Gwangi, thanks to the generous participation of Warner Bros. Pictures. Moross’ opening main title features confident western rhythms that harken back to Moross’ score to The Big Country, and yet its powerful solo trumpet speaks both to the film’s western nature and to Gwangi himself. Jerome Moross’ distinctive Americana musical style was most befitting for a “western” film packed with cowboy heroics. To release Jerome Moross’ entire score for The Valley of Gwangi on CD, Intrada had to do a considerable amount of work to find suitable elements. 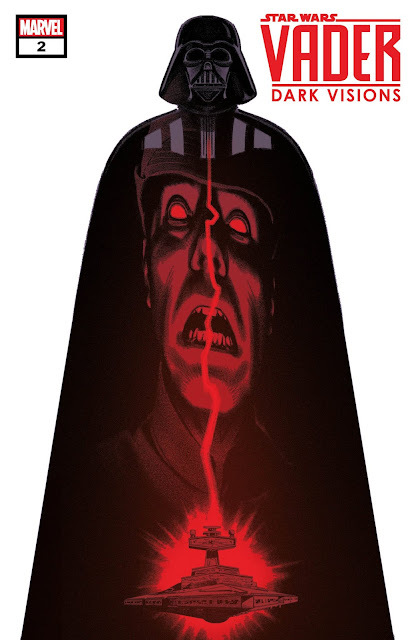 Intrada ultimately located material from several mono sources, all fortunately free of any dialog or effects. These included: two brief reels provided by Tom O’Steen of the Starlog label some time ago; numerous surviving cues from the sessions kept by Jerome Moross and generously provided by his daughter, Susanna Moross-Tarjan; and the entire score on music-only stems from the film’s D/M/E tracks vaulted by Warner Bros. After performing audio restoration with the expert assistance of Chris Malone, everything was matched as closely as possible in terms of levels and EQ and sequenced in film order—with the exception that the wild west circus band music was placed in its own suite. In the film, James Franciscus plays the slippery Tuck Kirby, who reunites with former girlfriend T.J. Breckenridge (Gila Golan), owner of a traveling circus who has stumbled across an amazing miniature horse—a prehistoric eohippus—that she plans to exhibit at her show. When Kirby and paleontologist Professor Bromley (Lawrence Naismith) lay eyes on the miniature horse, they each have their own ideas about how the creature should be exploited, while a group of seemingly superstitious gypsies see the mini-horse as the property of Gwangi—a godlike monster thought to dwell in a place called the Forbidden Valley. When the gypsies steal back the eohippus, Kirby, Bromley, T.J. and some of her men pursue them to the Forbidden Valley — and the group finds themselves trapped within this strange environment with dinosaurs, including a Pteranodon, an Ornithomimus, a Styracosaurus, and Gwangi—a predatory therapod somewhere between a Tyrannosaurus-rex and an Allosaurus.